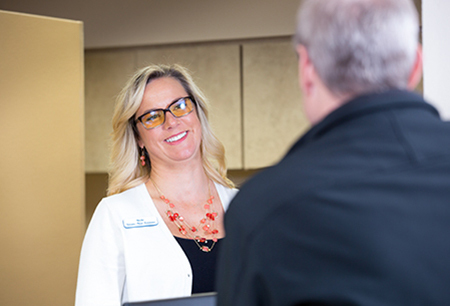 At Columbia River Endodontics, our goal is to make you as comfortable as possible. 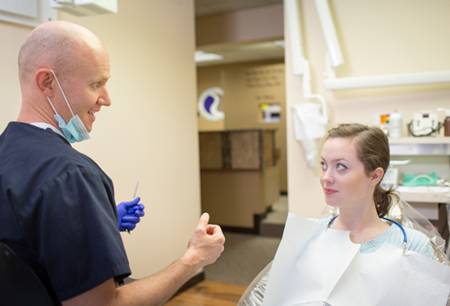 Because some people are nervous about root canal procedures, we try to explain what will happen, and do everything we can to minimize any anxiety or physical discomfort. Our state-of-the-art equipment allows us to minimize any pain, and many of our patients even report a pain-free experience. Because we know it helps to know exactly what to expect, here’s an overview of what your visit with us might be like. Visit us at the front desk to check in. We’ll make sure any paperwork is completed and financial arrangments are made to keep your procedure affordable. Your medical history will be noted so we can take good care of you. Be sure to ask any questions you have and let us know if you have any concerns. Our staff will be happy to assist you. Enjoy our comfortable waiting room while we prepare a treatement room for you. A dental assistant will welcome you, take care of x-rays, and guide you to your treatment room. This is another great time to ask any questions. Your assistant will seat you and get everything ready for the procedure. 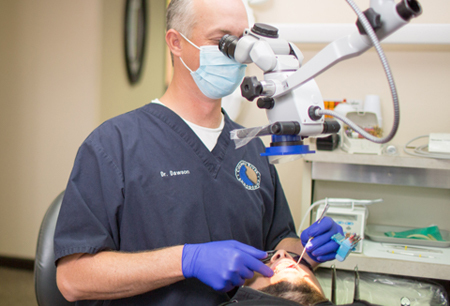 An endodontist will soon greet you and explain exactly what will happen during your procedure. Usually a local anesthsia is all that is needed, and your treatment will get underway. After your treatment, we’ll explain any steps you should take to encourage healing and manage any residual pain. We’ll let you know what follow up appointments will be needed with us or your usual dentist to complete your treatement and ensure a quick recovery. You should be able to resume normal activity right away.